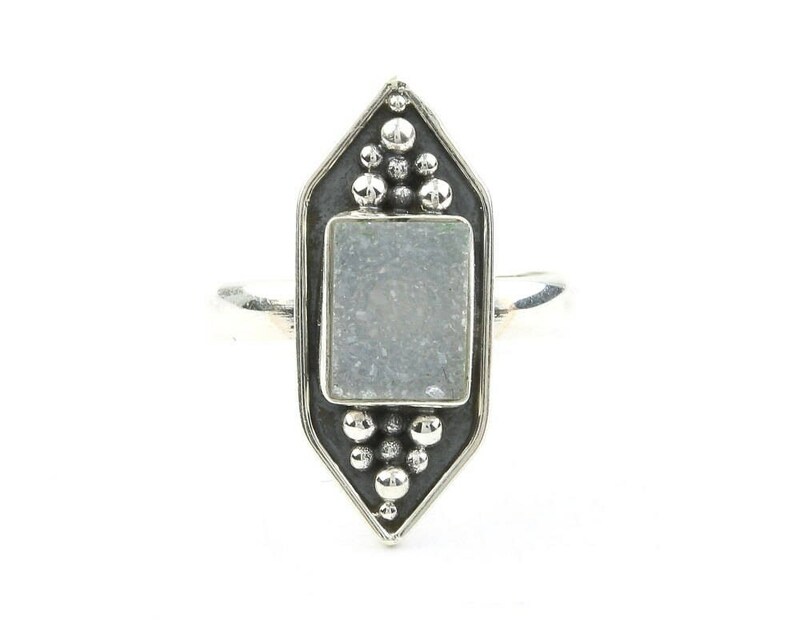 Beautifully detailed sterling silver ring with Quartz Drusy center stone. Lovely shape with silver bead detail. The dark patina finish accentuates the intricate detail of the piece. I like the size of this ring. It looks good on my finger, but I wish it would have been better made. The band is thin and and the soldering is not clean. I expected better quality for the price. This ring is NOT as pictured!! It is very small. I am returning it!! !